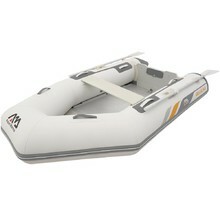 In this category, we offer both motorized and regular inflatable boats made of high-quality durable materials. They can be used by casual paddlers, fishermen or even campers. Riding a boat is an ideal way to cool off during hot summer days while also stretching your muscles. We also offer a lot of accessories that will make your time at water even more interesting. Take out one of our boats and enjoy many unforgettable moments and adventures!